In the Government House, the Chairman of the Federation Council of the Federal Assembly of the Russian Federation Valentina Matvienko and the interim Head of the Republic of Adygea Murat Kumpilov held a meeting in Maykop. 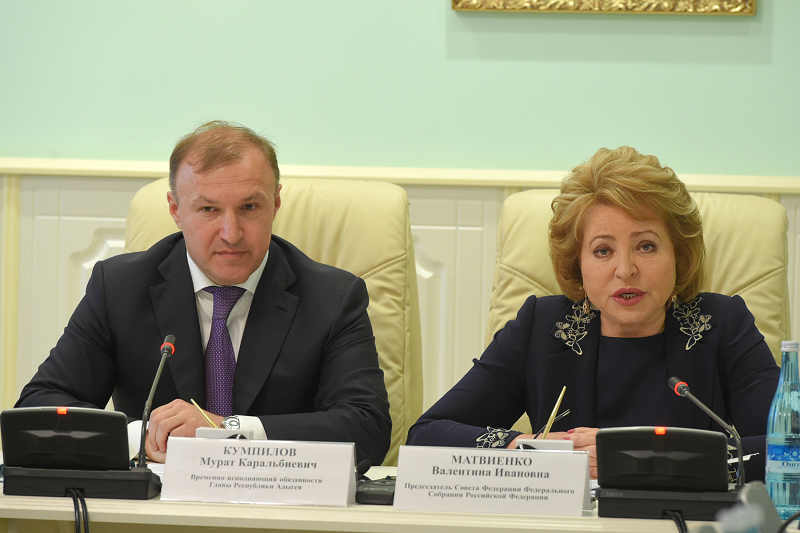 Opening the meeting, Murat Kumpilov thanked Valentina Matvienko for her visit, assistance and constructive support. 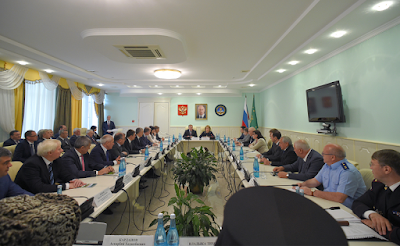 "We receive support from you personally, dear Valentina Ivanovna, from all your colleagues for a number of years. Such a productive position of the upper chamber of the supreme legislative body of our country is invaluable for us. 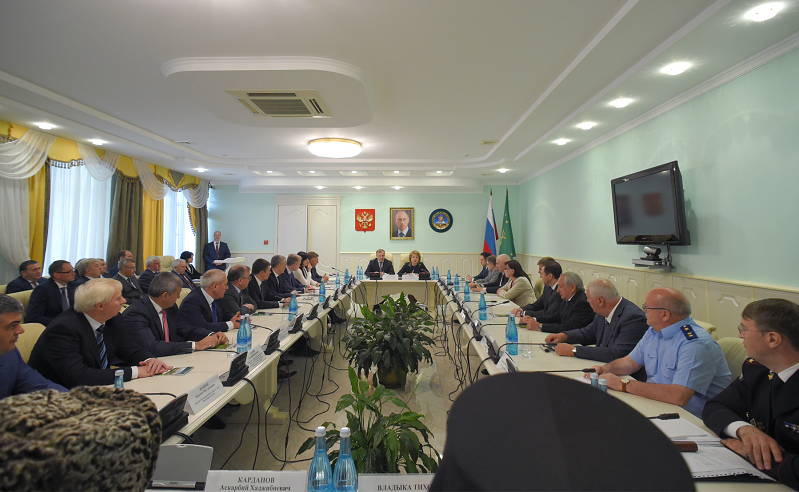 The well-established effective cooperation found its bright reflection in the past year - within the framework of the days of the Republic of Adygea in the Federation Council. 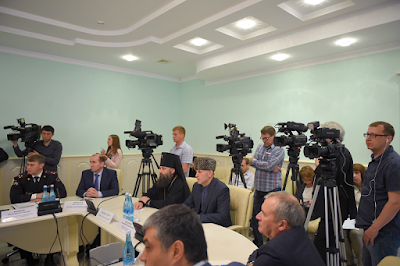 This year, a representative delegation of the Federation Council visited Adygeya on an official visit, during which a number of urgent socially significant problems were considered at the meeting,- Murat Kumpilov said. Valentina Matviyenko drew attention to the fact that Adygea occupies leading positions in Russia on a number of key indicators, positive experience of interaction of legislative and executive authorities has been accumulated, and a stable socio-economic platform for further development of the republic has been formed. "Adygea is one of the most promising regions, where all socio-economic tasks are successfully solved. 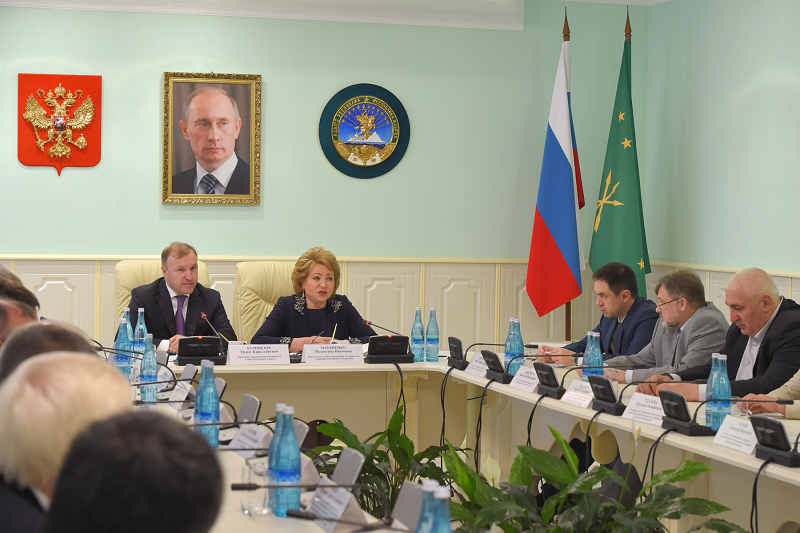 The achievements of Adygea are in many respects the merit of all the inhabitants and the leadership of the republic,-said Valentina Matvienko.